This exercise is about more advanced composition techniques, I’ve tried to find some photos of mine that demonstrate them effectively. 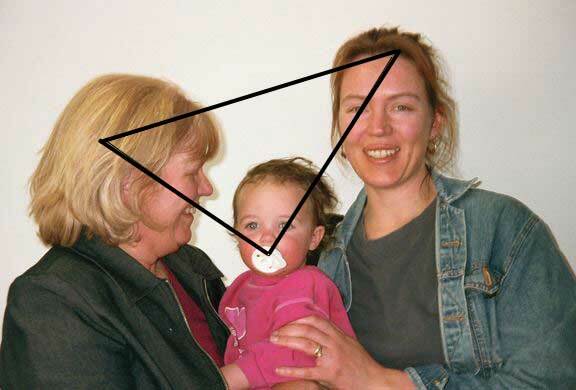 This portrait is just a quick snapshot, but the triangles make it more interesting, the angles, and the different directions people are looking in, and the baby in the middle the bottom of the triangle and centred in the frame. 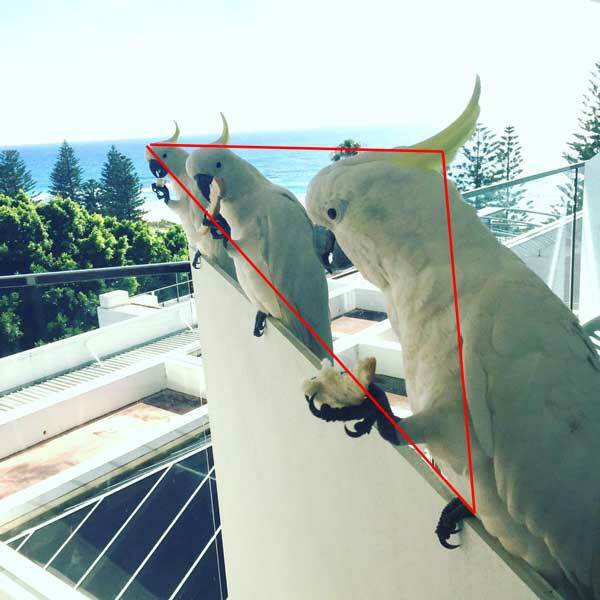 These cockatoos are cute, but again, the triangle makes for a more interesting shot (I cropped a fourth bird out). The shot also has an emphasized perspective, the far cockatoo seeming much further away than the closest bird because of the angle/persective the shot was taken with. I’m not sure I completely understand the term ‘Figure to the ground’ but I understand it to be constrast. 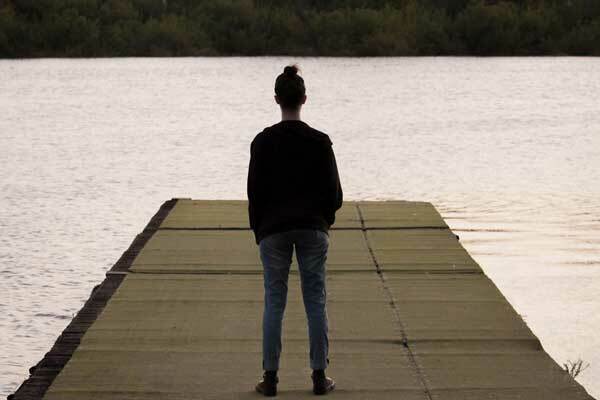 This shot would probably demonstrate it better if I knew how to edit the jetty to be a little lighter, but my daughter’s silhouette against the water is sharp and clear and its the high contrast around her silhouette that makes the shot effective. My son in his cubby house several years ago. The shot is an example of framing. 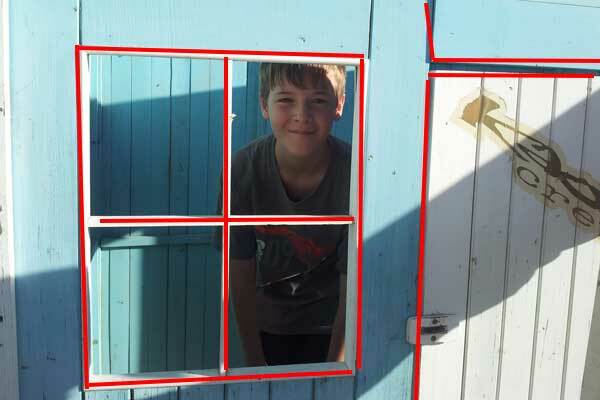 He is framed by the four paneled window, which both breaks up the view inside the cubby house into four distinct frames, with the frame with his face being the focal point, but also divides the photo more or less in half. The left third has the door, which adds another framing feature, and balance to the shot. 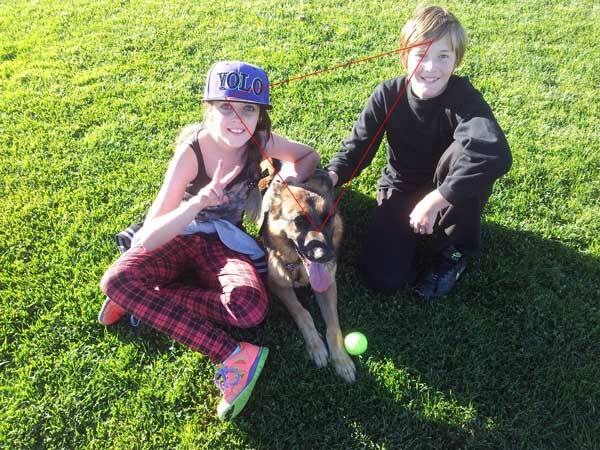 This shot was taken from above, with my kids and dog sitting on the ground. Having them look up and into the light is flattering to their faces and makes the shadow falling to the right more interesting. There’s also a triangle element, which ties the shot together nicely.